The Mexican Office for Domestic Affairs (Spanish: Secretaría de Gobernación, SEGOB, literally "Office for Governance") is the public ministry concerned with the country's domestic affairs, the presenting of the president's bills to Congress, their publication and certain issues of national security. The country's principal intelligence agency, CISEN, is directly answerable to the Secretary of the Interior. The Secretary is a member of the President's Cabinet and is, given the constitutional implications of the post, the most important Cabinet Member. Additionally, in the absence of the President, the Secretary of Interior assumes the job of the President and so, in this matter, the Secretary is similar to a Vicepresident. The Office is practically equivalent to Ministries of the Interior in most other countries (with the exception of the United States of America) and is occasionally translated to English as Ministry, Secretariat or Department of the Interior. In 1821, after the establishment of what was then the Mexican Provisional Cabinet (Junta Gubernativa Provisional), and given public urgings to organise the country's government, regulation was produced outlining the functions of a new governmental arm, then styled The Office for Domestic and Foreign Affairs. The new agency was answerable for managing the functioning of the government in general. The first person to take up the Directorship of the Office was José Manuel de Herrera who held the post between 1821 and 1823. Later on, it became necessary to particularise the duties of certain government agencies, which, in 1843, lead to the creation of the 'Office for Domestic Affairs' (also styled 'Department of the Interior'), which would later be re-styled as the 'Office for Foreign Relations and Government' in 1841 and then again in 1843 as the 'Office for Domestic Affairs and Policing'. The Office eventually had some of its powers separated into other ministries and, in 1853, was once again named 'Office for Domestic Affairs' —as it is still called up to the present day. The Office for Domestic Affairs in its modern day form, is concerned principally with the good management and proper application of the policies of Mexico's Federal Government within its national borders. It is a department of the Executive Branch and dates back to article 222 of the 1812 Spanish Constitution, which received royal assent on 19 March, 1812. Among the Cabinet Secretaries mentioned in the constitution, were those of Governance of the Realm in the Peninsula and Adjacent Islands and Governance of the Realm Overseas. On 22 October, 1814, the Constitutional Declaration for the Emancipation of the Mexican Americas known as the Apatzingán Constitution made provisions for a republican form of Government by way of Article 134. The Apatzingán Constitution provided for an Executive Branch known as the Supreme Government which would be equipped with an Office for Domestic Affairs, among other governmental departments. This position was historically seen as being a heartbeat away from the Presidency, because several Secretaries of the Interior were chosen as presidential candidates for the following term by incumbent presidents Plutarco Elías Calles, Emilio Portes Gil, Lázaro Cárdenas, Miguel Alemán Valdés, Adolfo Ruiz Cortines, Gustavo Díaz Ordaz, Luis Echeverría. Francisco Labastida Ochoa, Secretary of the Interior during the latter part of the Zedillo government, was seen as Zedillo's personal favorite during the Institutional Revolutionary Party's primaries (the first the party would ever hold) and during his unsuccessful bid which saw his political undoing at the hands of PAN candidate Vicente Fox. In turn, Fox's Secretary of the Interior, Santiago Creel, ran in the National Action Party's primaries in 2006, but was defeated by Felipe Calderón. Javier Treviño, was appointed Mexico Deputy Secretary of Education by President Enrique Peña Nieto on November 20, 2014. He was elected Member of Mexican Federal Congress in 2012. The cabinet of Mexico is the Executive Cabinet and is a part of the executive branch of the Mexican government. It consists of nineteen Secretaries of State, the head of the federal executive legal office and the Attorney General. 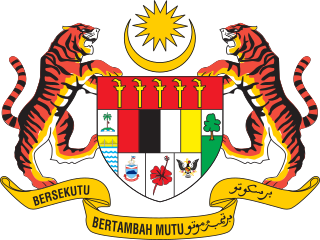 The Cabinet of Malaysia is the executive branch of Malaysia's government. Led by the Prime Minister, the cabinet is a council of ministers who are accountable collectively to the Parliament. According to the Article 43 of the Constitution, members of the Cabinet can only be selected from members of either houses of Parliament. Formally, the Yang di-Pertuan Agong appoints all Ministers on the advice of the Prime Minister. The constitution is amended by repealing the Clause (8) of Article 43, enabling a person who is a member of State Legislative Assembly. The Constitutional Court of Korea is an independent and specialised court in South Korea, whose primary role is the reviewing of constitutionality under the Constitution of the Republic of Korea. It also has administrative law functions such as ruling on competence disputes between governmental entities, giving final decisions on impeachments, and making judgments on the dissolution of political parties. The Government of Romania forms one half of the executive branch of the government of Romania. It is headed by the Prime Minister of Romania, and consists of the ministries, various subordinated institutions and agencies, and the 42 prefectures. The seat of the Romanian Government is at Victoria Palace in Bucharest. The current Constitution of Mauritania was adopted on 12 July 1991. There have been several constitutions since Mauritania's independence in 1960. The Mexican Secretariat of Public Security or Secretariat of Public Safety, also known as Ministry of Public Security and Ministry of Public Safety, was the federal ministry of the Mexican Executive Cabinet which aimed to preserve freedom, order and public peace, and safeguard the integrity and rights of the people, the Assistant Attorney General and Powers of the Union, to prevent the commission of crimes, develop public security policy of the Federal Executive and propose policy on crime, administer the federal prison system, and for the treatment of juvenile offenders, in terms of the powers him by the Organic Law of the Federal Public Administration and other federal laws and regulations, decrees, agreements and orders of the President of the Republic. It had its headquarters in Álvaro Obregón, Mexico City. The Ministry of Interior is a Cabinet-level ministry of the Government of Pakistan, tasked and primarily responsible for implementing the internal policies, state security, administration of internal affairs involving the state, and assisting the government on territorial affairs of Federally Administered Tribal Areas (Fata), and insular areas of Provincially Administered Tribal Areas (PATA). The executive branch of the government of Puerto Rico is responsible for executing the laws of Puerto Rico, as well as causing them to be executed. Article IV of the Constitution of Puerto Rico vests the executive power on the Governor—whom by its nature forms the executive branch. The Federal Constitutional Law is the centerpiece of the Austrian Constitution, it comprises the Constitution's most important legal provisions. The act defines Austria to be a democratic parliamentary republic with free multi-party elections and universal suffrage. It characterizes Austria as a federation (Bund) consisting of nine federal states (Bundesländer) but vests the supposed states it creates with comparatively little autonomy. 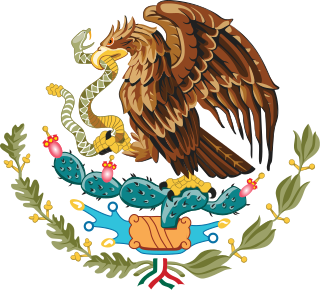 In the United Mexican States, the federal executive power of the government is exercised by the president of the republic whose official denomination is Constitutional President of the United Mexican States, to carry out the development of its powers and functions, the president has the power to freely appoint members of his cabinet, each of which is the head of a secretariat of state that is responsible for a branch of the federal public administration; and the organization of these agencies and the powers that each have, are set by the Organic Law of the Federal Public Administration. In Austrian constitutional law, a supreme executive organ , is an elected official, political appointee, or collegiate body with ultimate responsibility for a certain class of administrative decisions – either decisions in some specific area of public administration or decisions of some specific type. The president, for example, is the supreme executive organ with regards to appointing judges; the minister of justice is the supreme executive organ with regards to running the prosecution service; the president of the Constitutional Court is the supreme executive organ with regards to the operational management of the Constitutional Court. The Constitutional Court itself, on the other hand, is not a supreme organ because its decisions, while definitive, are judicial and not administrative in nature.